Do you want to improve concentration? You know if your mind is wandering you need to spend more time doing a task. Learn proven and scientific techniques to train your mind and increase your operational efficiency. In today’s competitive world it is necessary to be Plus One than others. In the process lots of tension is developed in the mind. This tension results in high blood pressure, insomnia and other psychosomatic diseases. Learn how to release tension by a proven relaxation technique known as Kayotsarg. Today IQ is not enough but EQ is also important to develop your personality? Emotional Quotient or EQ is all about measuring emotions. Learn how you can acquire virtues and good habits and get rid of negative emotions by a proven technique of Anupreksha or Contemplation Meditation. For Whom? This two hours introductory session is for all professionals and business persons who are experiencing stress. For those people who would Like to pursue their Goals using sub-concious mind power. 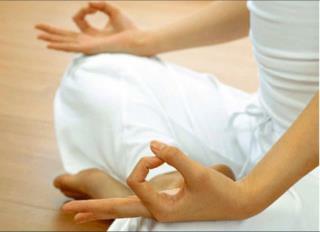 For professionals who wants to learn meditation method, but do not know whom to ask. For everybody who wants to live a happy and healthy life to enjoy the hard earned money. For those who wish to develop personality and tap the human potential. When? Sunday, 27th September 2015. Time: 10:00 a.m. to 12:00 p.m.
Where: Swayamvar Mangal Karyalaya, Near Adinath Society, 695/3/27, Pune-Satara Road, Pune, Maharashtra, 411 037, India. FEES? This program is FREE. Invest your two hours. All are welcome. However, it is necessary to register to make necessary arrangements. On or before 22 September. Who is the speaker? 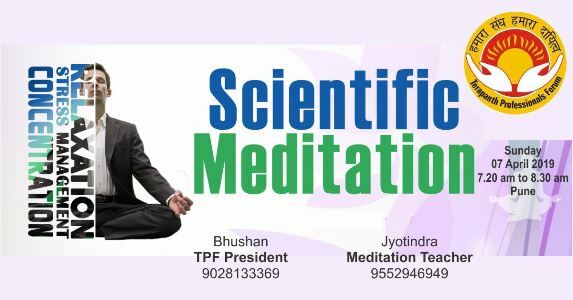 Faculty: JYOTINDRA J. ZAVERI [+91 9552942969]. He is an IT Professional since ...1975. ex-IBM. Has successfully conducted many such programs. The program is organized by the Terapanth Professional Forum, Pune, India. The program will be conducted in English.